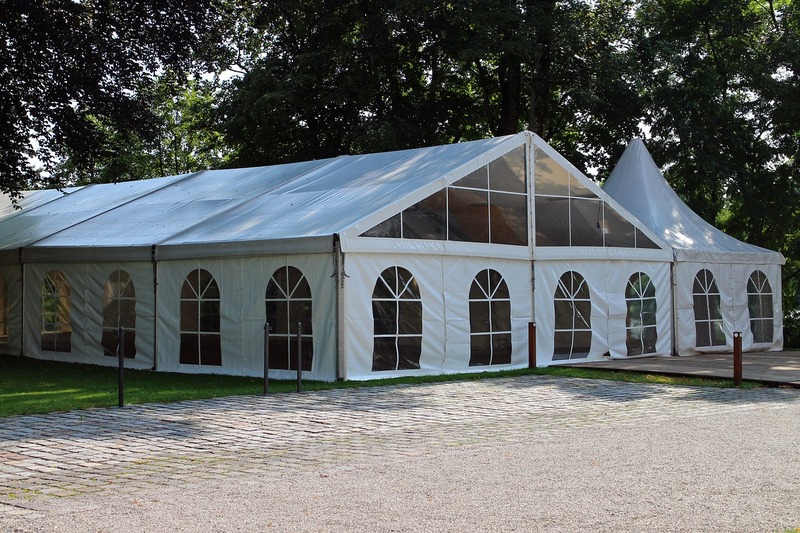 You might associate marquee hire for weddings, corporate events, exhibitions and other occasions with the summer months. However, there’s no reason you can’t take this option during the winter too, as long as you adjust your plan accordingly. 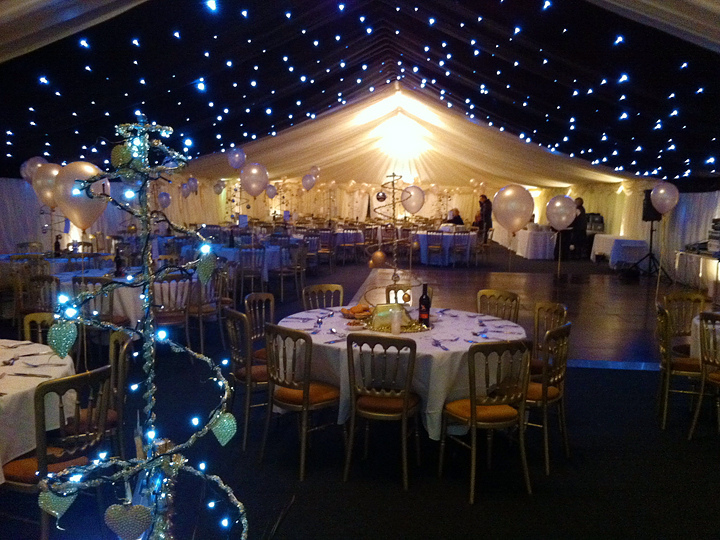 This makes hiring a marquee a fantastic choice for hosting Christmas or New Year parties, and we’re currently still taking bookings for 2016 across the Midlands including in Birmingham, Derbyshire, Staffordshire and all the other regions we cater to. Our marquees are extremely flexible, which is why you can customise your setup so that it’s appropriate and effective. Being modular in their construction, you can create one that’s large enough to fit your available space perfectly. 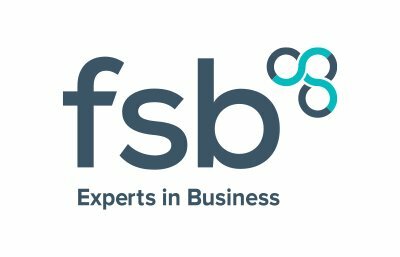 When you’re thinking about setting up for Christmas or New Year celebrations, you might want to consider the following points. If your space is large enough, you can plan different zones and ensure enough space is dedicated to each particular area. For example, if you’re bringing in tables for people to sit down and eat, don’t underestimate the amount of space required. Separate to this, you might want to clearly define the dance floor, bar area, a more relaxed lounge area and other options. Don’t forget to leave room for a spectacular Christmas tree, plus any other decorations you’re planning to have. These can make the usable space smaller if you have too much, so make sure this is factored in. When it comes to the actual decoration, entertainment and so on, make sure you capture the mood you’re hoping to create. 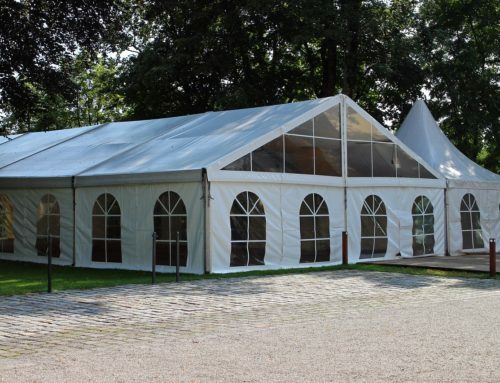 A marquee will start off looking plain and simple, but the potential for turning one into an incredible luxury venue is definitely there if you know how to achieve this. Since it’s winter, make sure you have adequate heating! You might need a specially designed industrial heating system to connect to your marquee. These will be classified depending on the size of the space they’re designed to heat. We can actually provide heaters with our marquees, subject to availability, during the winter months. Most importantly, make sure it feels like a celebration! Provide plenty of food and drink, and consider hiring staff to help you cater to everyone if you’re inviting a large number of guests. Christmas and New Year parties are both all about celebrating the year we’ve had and looking forward to the future, and hiring a marquee may be the perfect first step towards hosting a spectacular event that captures this festive spirit.